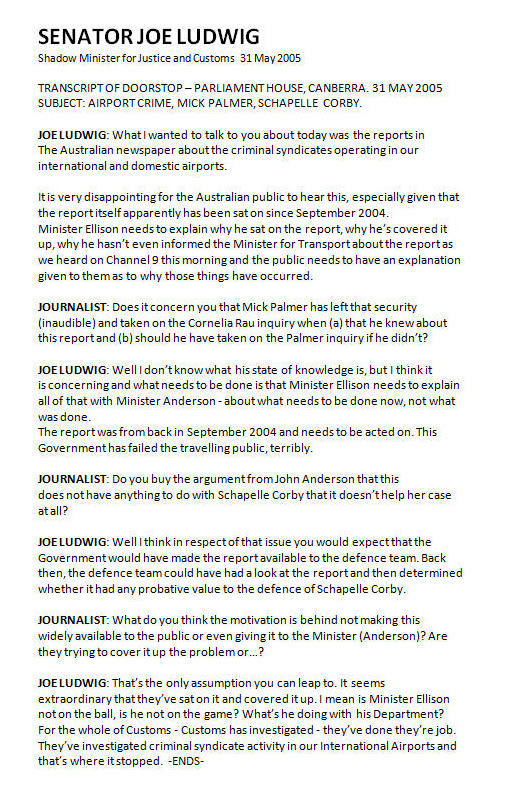 The following is the transcript of an interview given to the media by Senator Joe Ludwig, the Shadow Minister for Justice and Customs, on 31st May 2005. In it, he accuses the Howard government of covering up this information with respect to the Schapelle Corby case. When he made this statement, Mr Ludwig was unaware of the wealth of other information, relating to the activities of Justice & Customs Minister Ellison, which The Expendable Project would subsequently reveal.